Danny Tamberelli of "The Adventures of Pete and Pete." Nickelodeon lives on — not just in our overflowing hearts but on modern TV and soon in the proud remnants of Pennsylvania's steel industry. 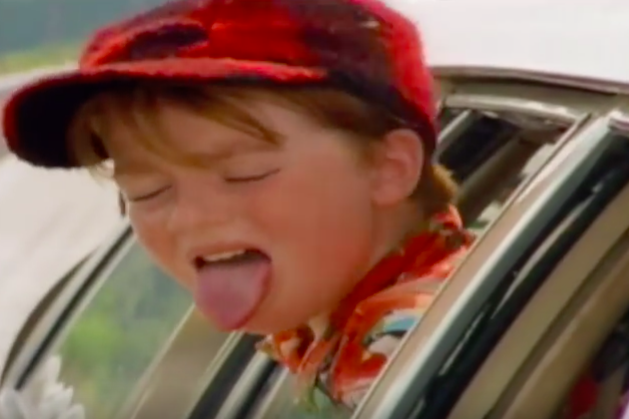 Danny Tamberelli, the younger star of "The Adventures of Pete and Pete" (part of the network's cult trifecta with "Salute Your Shorts" and "Hey Dude"), will be getting married next spring at an old steel factory where the bride-to-be came of age, according to Page Six. The lucky lady is not Petunia, poor gal. Tamberelli, 35, will tie the knot with young adult fiction author Katelyn Detweiler, a Marlborough Township native and graduate of Upper Perkiomen Valley High School. It's not clear where the two plan to hold the ceremony, but the odds-on favorites would appear to be either SteelStacks or the Phoenixville Foundry. Tamberelli and Detweiler sat down for a fun interview with Page Six to talk about how they met and fell in love. It turns out they both swiped right on Tinder and soon discovered they share a "really warped sense of humor," which is as solid a foundation as any for lifelong happiness together. The best part about this is that Mike Maronna, who played Big Pete and now co-hosts a podcast will Tamberelli, is on board to be a groomsman for the May 5 wedding. All that's left to do is get Polaris signed on to perform at the reception.